Assessor training is one of the most critical activities in implementing your competency management system. We believe that your assessors need to be trained on your assessment process if you want them to be able to apply this effectively back in the workplace. We ensure your assessors understand what the company needs in order to achieve its objectives and where their role fits in with this process. This helps create better assessors who are more committed to the task, leading to an increase in the number of assessments completed to the required standard. LOOKING TO TAKE YOUR COMPETENCY MANAGEMENT SYSTEM ONLINE? For people who assess the competence of individuals within a competency based assessment system using direct and indirect methods. For people who assess the competence of individuals within a competency based assessment system using direct methods only. For people who require the relevant training to work as assessors but, instead of a full qualification, they complete a short knowledge assignment. We can help you by providing short assessor refresher courses. These can be online using our blended learning portal PLUS or they can be through workshops delivered on your premises. Suitable for people who assess competence in a work environment. For people who require the training to work as assessors, but instead of a full qualification, they complete a short practical assessment in the workplace. "Polaris Learning was aware that our people were busy all the time and helped our candidates to finish. They are flexible, reasonable in price, a good coaching team and achieve an international standard." "With your services and assistance we could get our prospective assessors certified in SQA L&D9DI in the shortest possible time and keeping our assessor competent which was a major concern of our client for the services we provide to them." "The course was very effective, materials were very easy to understand and the trainer was confident, competent and very professional." "The course was effective and gave me good information and background to start the assessment process linking to standards. 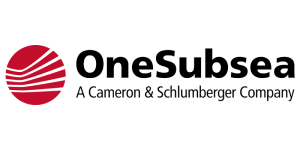 Course content was easy to understand and the course was delivered with high quality." "We have had an increase in service quality, awareness, and there is now better training in place for the employees. We now have people confident to train others and also assess other employees. Polaris Learning Ltd have given the company a focus on more training of the staff for training and assessing. Overall, they are good people, they provide a good service and are good value for money." "I gained an excellent understanding of the expectations on me in relation to competency assessment in my role. Good presentation delivered in a manner that was easy to keep up with and understand." "I would definitely recommend this course, I am sure this will help me in the future to complete my own staff portfolios." "The trainer clarified all the necessary information for future assessors. Paid much attention for them to understand topic and all details." "Excellent training! Very structured delivery. Suitable pace for those whose English is not native. Excellent instructor skills! Trainer was confident, friendly and had good knowledge of the subject. Enjoyed very much." "I found this course to be very effective when I was gathering my evidence, making me realise just how important it is to be able to correctly assess someone's knoweldge and competency and how that can reflect on their abilities in the workplace." "The trainer clarified all the necessary information for future assessors. They understood the topics very well"
"The content of the overall course was well defined and I only had a few concerns when it came to gathering evidence and answering some of the knowledge questions. My Assessor was able to guide me through some of the more challenging questions and shed light on what evidence was needed." "Great course, easy to follow, not too powerpoint heavy! Trainer presented very well inth a great in-depth knowledge of the subjects and also our industry." "Prior to undertaking this course I was not confident in my abilities of assessing my learners and going forward. I will definitely be putting more work into involving my candidates in the assessment plan process and providing more feedback that is relevant to SQA Qualification. Trainer was fantastic in expressing what was required in order to complete our qualification. He provided the knowledge required in an understanding and clear way." "Trainer was fabulous - really good at interacting. Course has definitely helped the organisation focus and has made me feel more confident in what I need to do when assessing. Trainer really good at his job - best trainer I've ever had!" "Course provided a good, thorough understanding of assessment. Highlighted my development needs as well as good practice to apply when assessing. I feel more confident going forward completing the assessment process." "Through this course was extremely relevent and will have a significant impact on my practice. Content was excellent and met needs fully. Trainer pitched the course really well and was clear and supportive. Really enjoyed the course." "The course provides very effective guidance in how to plan training and assessment. The trainer was always available to answer the questions I had for him and kept in touch through the whole proces. Thank you." "I am now fully aware of my responsibilities within the Training and Competence system and know what I have to do to become a qualified assessor. The course was well presented and easy to understand." "The course was well presented and enjoyable and will provide good guidance and help in carrying out any future amendments." "The course was very well organised - all explained in detail, step-by-step"
"I gained Competency skills necessary to objectively assess performance along with learning helpful skills to manage different situations"
"Documentation was readily available/provided by Polaris Learning"
"Sufficient detailed guidance provided in a timely manner and was kept informed about the next steps of the process"
Working together since 2009, we have provided accredited assessor training to support OneSubsea’s competency management system. We have also provided an accredited internal verifier programme to the organisation’s internal verifiers. The competency management system gained accreditation with OPITO in 2011. Other services include appraisal training and coaching and mentoring training for senior individuals supporting apprentices. Accreditation of the training team is critical to the success of Falck Safety Services. 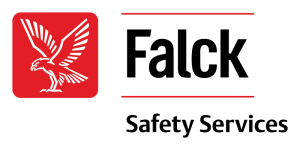 We have worked with Falck Safety Services since 2000 to develop and qualify the skills of their instructors through an integrated programme leading to nationally accredited qualifications in training delivery, assessment and internal verification. Assessor Qualifications: Thinking About Qualified Assessors in Your Workplace? This is an introductory video on the internationally recognised qualification, SQA L&D9DI – Assessing Workplace Competence using Direct and Indirect Methods, awarded by the Scottish Qualifications Authority. In this short video we will help you understand the SQA L&D9DI qualification, who this qualification is aimed at and what your assessors need to do to achieve the qualification. We will also highlight a couple of key considerations that will help you to understand if SQA L&D9DI is appropriate for your assessors and your organisation. This short video follows on from video: Reaching the Standard – SQA L&D9DI Assessor Qualification. This video is designed to demonstrate the assessment process and provide you with some examples along with how to record assessments.